It’s a great way to expand your pumpkin-eating horizons beyond pie. And, it’s a pretty simple recipe. - Brown ground beef/turkey, draining fat. 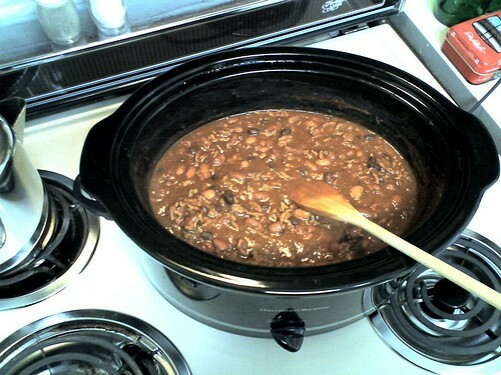 - Add all ingredients to a large pot, bring to boil. Serve with cheese and/or sour cream on top of bowl.